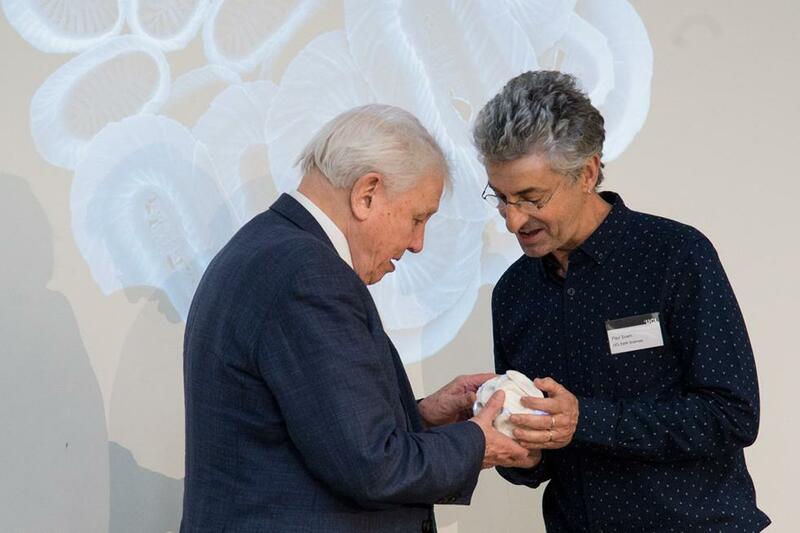 A newly discovered species of ocean plankton, Syracosphaera azureaplaneta, has been named by researchers at UCL in honour of the critically acclaimed BBC Blue Planet series and its presenter Sir David Attenborough. As part of ceremonies to mark the occasion at UCL, Sir David was presented with a porcelain sculpture of the plankton created exclusively by University of Southampton researcher, Dr Samantha Gibbs, a Royal Society University Research Fellow within Ocean and Earth Science. UCL Professor Paul Bown, one of the researchers who described and named the species and the husband of Dr Gibbs, made the presentation to Sir David who previously received an Honorary Doctorate from Southampton in 1992. The porcelain sculpture by Dr Gibbs is 12,000 times larger than the real plankton which measures just 12 microns, equivalent to only thousands of a millimetre. These plankton play a pivotal role in marine ecosystems as a crucial source of food for many ocean dwelling organisms. They are also incredibly valuable for studying the impact of climate change on ocean life now and across the previous 220 million years. 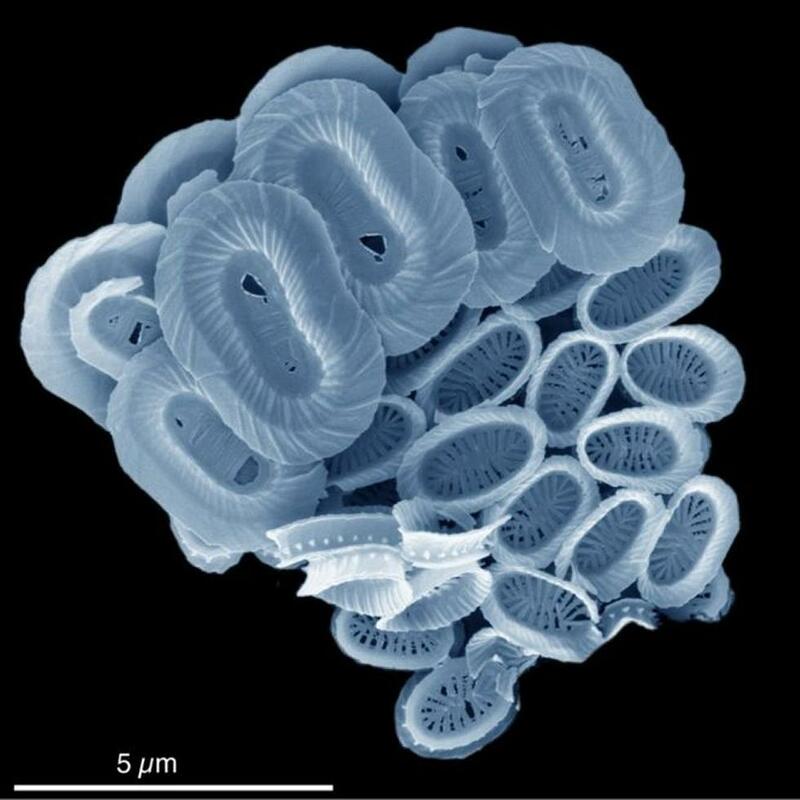 The plankton – called coccolithophores – are single cells surrounded by a calcite shell that varies drastically in shape across different species, acting as protective armour. 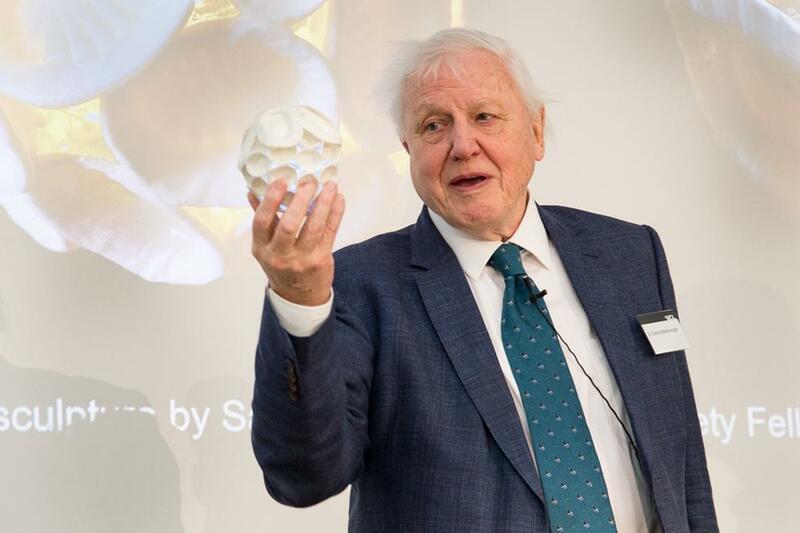 “I feel incredibly proud that Sir David has been given the sculpture and in a letter I received from him yesterday he said how delighted he was to have it,” says Dr Gibbs, a plankton researcher in her own right. “It’s been a labour of love making the sculpture – it’s the only reconstruction there is of this species. Dr Gibbs’ own research uses the geological record of microscopic plankton (calcareous nannofossils) to document Cenozoic climate change covering the last 66 million years, develop and integrate palaeoenvironmental proxies, and reconstruct plankton evolutionary histories. She is particularly interested in understanding the factors that control plankton production and burial during intervals of critical climate change versus background climate variability and deciphering potential ocean acidification responses in the fossil record. The newly discovered species of ocean plankton, Syracosphaera azureaplaneta, named by researchers at UCL in honour of the critically acclaimed BBC Blue Planet series and its presenter Sir David Attenborough. Credit UCL. 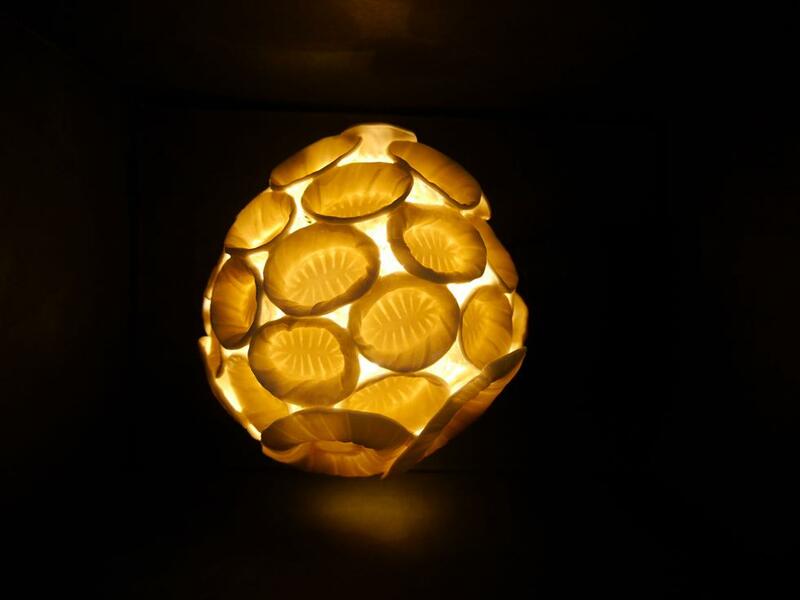 Dr Samantha Gibbs created a porcelain sculpture of the 'Blue Planet' plankton which was presented to Sir David Attenborough. 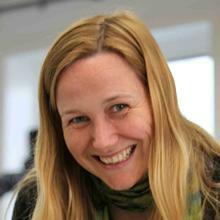 Dr Samantha Gibbs is Royal Society University Research Fellow within Ocean and Earth Science, National Oceanography Centre Southampton at the University of Southampton.